After 50 years of reuse and recycling, this artificial tree is green! Artificial Trees create a larger carbon imprint at the beginning, yet with yearly reuse and not purchasing new models, this can be spread out over a long time. The tree to the left is basically a wooden pole with green wire bristles from 1960 – so old it is now chic, and holds 50 years of family history. Cut Evergreen Trees are a good choice for keeping tree farmers in business. Growing trees are good for soil and water management, reducing greenhouse conditions and may prevent additional development. They provide the choice for family outings to select one’s own tree either from the local charity’s tree lot or traveling to the tree farm. Most communities now recycle trees curbside and turn them into mulch or use for erosion control. Live Trees for replanting can be excellent, but only if one observes the Right Tree/Right Place/Right Care rules. First you need to have selected the right location in your yard to ensure a full grown conifer has the right amount of sun, is far enough away from the house and overhead wires, fences, sidewalk, underground pipes, etc. Second, select a balled or potted tree species suitable for our hot, drought prone area. Third, think of how tree roots grow and keep the roots moist but do not fertilize or add nutrients – you don’t want them growing while confined. Move the live tree back outside to a sheltered location after four to seven days. In our mid-Atlantic area, tree planting is fine during the winter as long as the ground isn’t frozen. For information on choosing the tree and planting, check out the Tree Care tab above. Outdoor Decorated Trees may allow you to do away with the indoor tree, and you can watch birds and squirrels if decorated with bird seed ornaments, popcorn and cranberry strings, or corn cobs. A hollytree with its red berries is naturally decorated for the holidays! 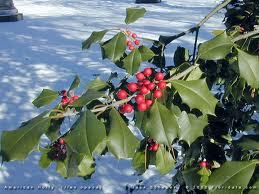 The berries are also food for birds when the ground is covered in snow. Turns out, the mark of a true tree hugger is not what choice they make as regards holiday trees, but what they do the rest of the year. To all of those TreeStewards who staffed information tables gave out tree care information, who taught their neighbor the correct way to mulch, who surveyed trees, who assisted in pruning school and street trees, and so many more tasks, may you have a happy holiday season. 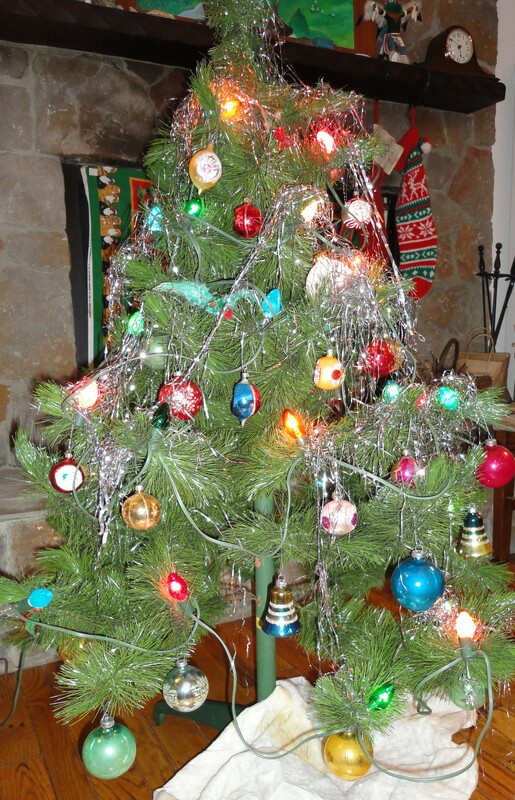 This entry was posted in Tree Care and tagged Christmas, reuse. Bookmark the permalink.